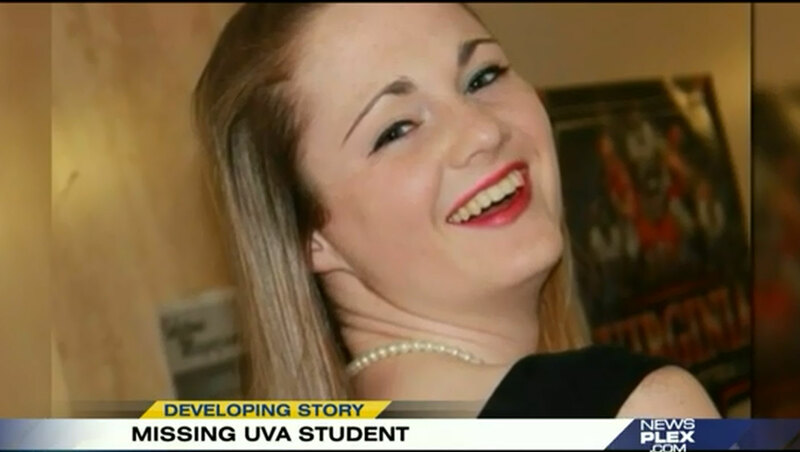 CHARLOTTESVILLE, Va. -- A missing University of Virginia student was last seen around 12:45 a.m. Saturday morning on surveillance footage at a Charlottesville pub, police revealed Tuesday, reports CBS affiliate WTVR. McGrady's Irish Pub is about a 14-minute walk from the area where 18-year-old Hannah Graham would text her friends about a half hour later, at 1:20 a.m., saying she was lost, the station reports. She hasn't been heard from since. Friends said the second-year student was on her way to a party, but never showed up, reports the station. Police also revealed Graham was "fairly well intoxicated" at the time she was last seen. Police initially said Graham was last seen near the Camden Plaza Apartments in Charlottesville between 11 p.m. Friday night and 1 a.m. Saturday morning. They haven't released the surveillance footage from the pub, reports the station. Earlier Tuesday, police said that a reported sighting of Graham on the night she disappeared prompted them to adjust their search area father east. It's not clear whether they were referring to the sighting at the pub. Police and volunteers were also searching around Preston Avenue after a tip indicated Graham may have been seen in that area, reports the station. In an expanded search, law enforcement agencies are reportedly combing about 30 blocks in Charlottesville using bloodhounds, but so far, there's been no sign of the teen. Volunteers worked late into the night Monday canvassing the area, and resumed Tuesday. "We have a trained search and rescue team," Guy Williams of the Albemarle County Sheriff's Office told WCAV. "We're just hoping and praying that we find this young lady alive and well."